Plus500 was founded more than 10 years ago. They recently got regulation from FSA (Financial Services Authority). The company has a visually appealing, well presented trading platform and the website also has a clean simple layout as well. 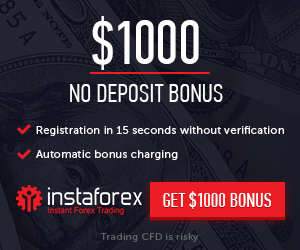 This makes for a pleasant trading experience aimed at new Forex traders. Given their years of experience and verified credentials, it is not a surprise that Plus500 is fast becoming a Forex broker to be reckoned with on the global Forex stage. You are most likely already aware that the bigger Forex brokers like Forex Cluboffer and eToro offer multiple trading platforms to choose from- and you may notice that Plus 500 only offers a solitary trading platform. While this may be a problem for those traders who are looking for a specific platform (such as MetaTrader 4), a quick look at the Plus500 platform would make it clear why we are scoring this firm amongst the best Forex brokers. Plus500’s platform is accessible in 3 versions; online, downloadable version, and a smartphone trading interface. One thing that makes this platform stand out from the competition is that Plus500’s podium remains stable in every version, which makes it possible to switch seamlessly between the platforms without reloading. Plus500’s Forex trading platform gives important information in one display, so that, no scrolling needed to find important data. Four clearly tagged tabs make it possible to get details about the previous traders and existing positions without having to search for it. It is this intuitiveness that makes it a great choice for beginners. Although the Plus500 does not offer the range of features and options provided by the majority of other top FX brokers, some of their available options really caught our attention. One of the biggest unique selling points we noticed was in our Plus500 test review is the firm’s free unlimited demo account which allows traders to relax a little and decide if this is the platform for them and to take the time to try out a lot of different strategies. As an unlimited free demo is rare, it is always appreciated and a very welcome feature. The Plus500 offers customer support, although only via email. We emailed to the firm in the morning and got a reply with 30 minutes. Phone and chat support are not offered, so this is a little limited. The inclusion of a ‘search’ function would have been a nice touch too. Payments can be made through MoneyBookers, bank transfer and credit card. As with other FX brokers, the platform and website offered by Plus500 are among the most clear-cut. Despite the fact that they’re missing a lot of tools and features offered by other brokers, this may be a benefit for the traders who are looking to get started quickly without the distraction of a cluttered user interface. Simplicity is key here. Overall, Plus500 is user-friendly and straightforward. eToro Partners Review – Etoropartners forex affiliate program.